DUMBARTON were comprehensively outfought, outplayed and beaten by hosts Forfar Athletic at Station Park. 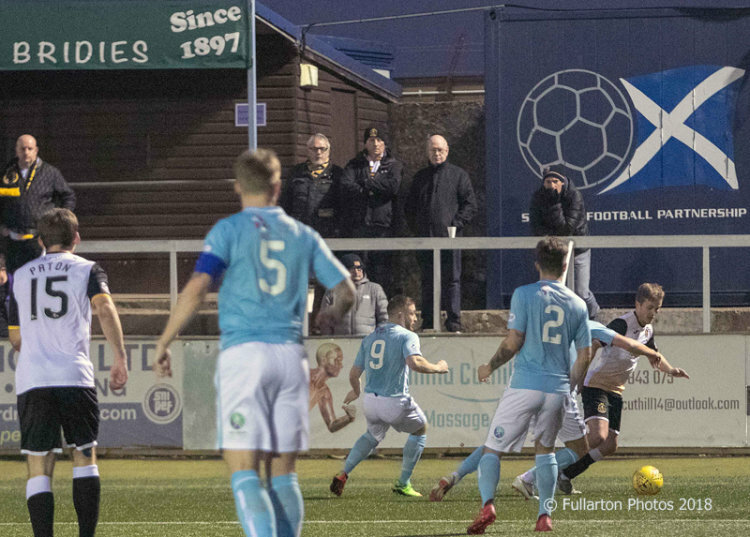 DUMBARTON were comprehensively outfought, outplayed and beaten by hosts Forfar Athletic in front of a 491 crowd at Station Park. After a tight first half, Dumbarton were beaten by two quick goals after the break, and a third nearer the end, in a disappointing performance. The hosts began brightly, but Sons fought their way back and the first half finished with end-to-end football. Wx-Son Dylan Easton and Dom Thomas had been causing trouble for their respective sides, but the deadlock could not be broken up to the break. That changed swiftly in the second half. First Darren Whyte glanced home a header from a corner on 48 minutes for Forfar, then John Baird finished high into the net five minutes later to stun Dumbarton. On 77 minutes a fee-kick from Mark Hill made it 3-0 to the home side, giving Sons an impossible task in struggling to get back into the game. Sons were a trifle lucky to be level at half time, but the Loons blew their opponents away in the second forty-five. As a result Dumbarton slipped to ninth position in League One, with foot-of-the-table Stenhousemuir also losing. The picture shows Sons director watching Bobby Barr on the ball.